DUPREE | State and local authorities have filed a motion to permanently remove hundreds of wild horses from a troubled north-central South Dakota sanctuary, and lawyers on both sides of the case will make arguments to a judge later this month. The motion, filed Thursday at the Ziebach County Courthouse in Dupree, seeks to transfer ownership of the horses to “a suitable caretaker.” The motion does not name the caretaker, but a pair of nonprofit organizations said in a joint release Friday evening that they would assume the role. They are Fleet of Angels, a North American network of trailer owners that provides emergency assistance and transportation to at-risk horses, and Habitat for Horses, a rescue group based in Texas. If a judge approves the transfer of ownership, the two groups said, they will attempt to place the horses in safe homes, including sanctuaries and rescue organizations. Another group, California-based Return to Freedom, would assist with the adoptions. “This would be one of the largest known equine rescue and adoption efforts in U.S. history,” the release stated. An estimated 540 horses remain at the small, overgrazed ranch of the International Society for the Protection of Mustangs and Burros (ISPMB) near Lantry, where 810 horses were impounded by state and local authorities in October following a finding of neglect by a state-employed veterinarian. Fleet of Angels already has overseen the adoption of 270 of the horses, the organization reported. 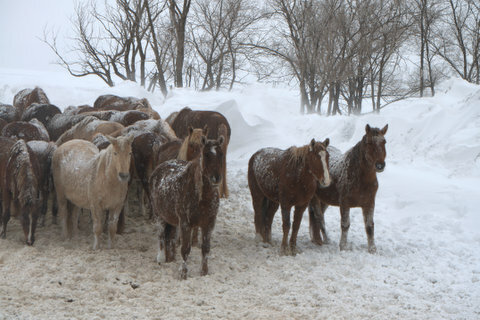 The horses have been under the care of Dewey and Ziebach counties since the impounding began. Court documents filed with Thursday’s motion say the counties have borne a total of $156,735 in costs, of which $52,000 has been covered by the ISPMB, $11,714 has been covered by donations to the counties and $15,000 has been covered by a grant from the American Society for the Prevention of Cruelty to Animals, leaving the counties on the hook for $78,021. According to the nonprofit groups that want to assume ownership of the horses, The Humane Society of the United States and other donors have contributed to a fund that will cover the counties’ remaining costs if the transfer of ownership is approved. Court documents also show that the ISPMB has retained attorneys Nathan Chicoine and Quentin Riggins of the Gunderson, Palmer, Nelson & Ashmore law firm in Rapid City ahead of a hearing scheduled later this month before state Fourth Circuit Court Judge Randall Macy. The ownership-transfer motion was filed jointly by Sherri Wald, deputy attorney general for the South Dakota Animal Industry Board; Steven Aberle, Dewey County state’s attorney; and Cheryl Laurenz-Bogue, Ziebach County state’s attorney. Ongoing costs to feed, care for and treat the 540 wild horses impounded in north-central South Dakota will be an estimated $40,000 per month, according to the nonprofit groups who want to assume ownership of the horses and find new homes for them. 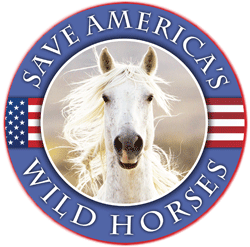 The groups are encouraging donations to the Wild Horse and Burro Sanctuary Alliance, either online at wildhorsesanctuaryalliance.org or by mail to The Animals Voice, 1692 Mangrove Ave. #276, Chico, CA 95926. Anyone interested in adopting a horse or horses is encouraged to contact Fleet of Angels by email at HoldYourHorses@aol.com or go to the ISPMB Horses/Emergency Adoption Mission page on Facebook. Apparently, ISPMB is fighting this move? That makes no sense at all. On another front – I watch Vice News Tonight (its on HBO). 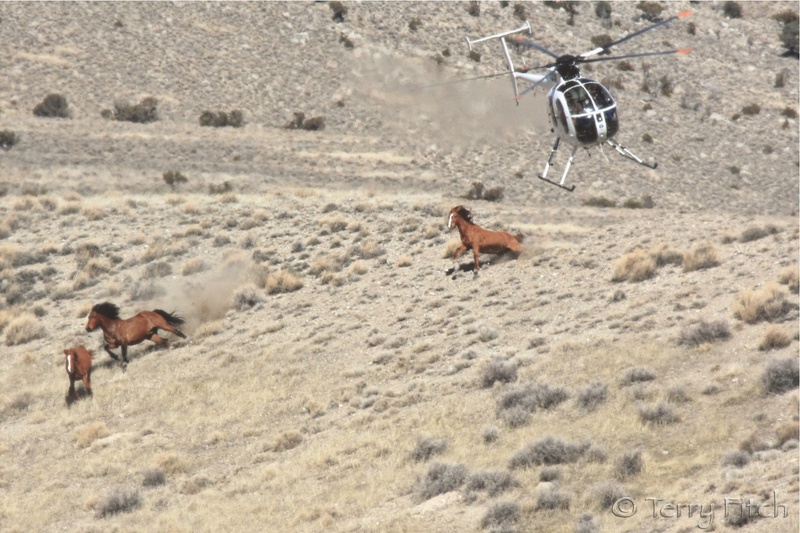 They did a segment on the wild horses titled “wild Horses running amok”. 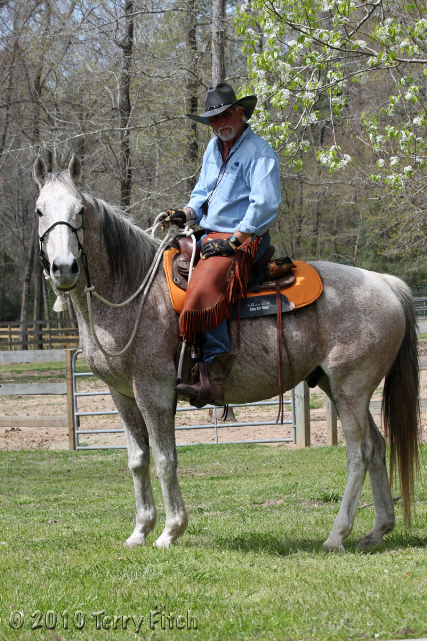 I realize its a short piece but they did send a journalist to Nevada – interviewed Jim Sedinger a NV “ecologist” who completely blamed the horses – spoke to Alan Shepherd, who was careful about what he said (question about “euthanization”). The only pro WH people were Ms. Roy from WHPS & an advocate at Virginia Range(who darts with PZP). NO mention of course of the word cow anywhere – showed one of these pictures of devastated land & water next to a fenced off piece. What came out of Ms.Roy’s part was only how inhumane the roundups were & the horses are treated badly. I imagine Vice News was under the impression they got both sides! They didnt. Worth watching – if you havent seen it. Off topic but important. Has anyone been aware of this Midnight item? Its appearamce is to overturn any progress made during Obama to prevent Horse Abuse to Walkers and possibly more?. We need to also point out they feel confident the Trump regime will help them be adament animal abusers in the future as well. They state it clearly on their page. Please read amd let me know what details any of you have. Thank you! Update http://www.t-g.com/story/2375113.html. we need to Stop this! Reintroduced and passed on Jan 4, 2017. This has to be stopped. I wonder if the ISPMB attorneys are retained to take care of any CRIMINAL issues that may arise when all the facts come out……….